One thing I love about Fall are all the layers you can pile on. It creates debt and interest to your outfit. Not to mention, you can get more wear out of your clothing pieces by wearing them multiple seasons. This white Classic Button down is perfect for layering under anything! When I came across this Camo print dress I knew it would be adorable. Camo print is a favorite of mine but I like to dress it up a little. 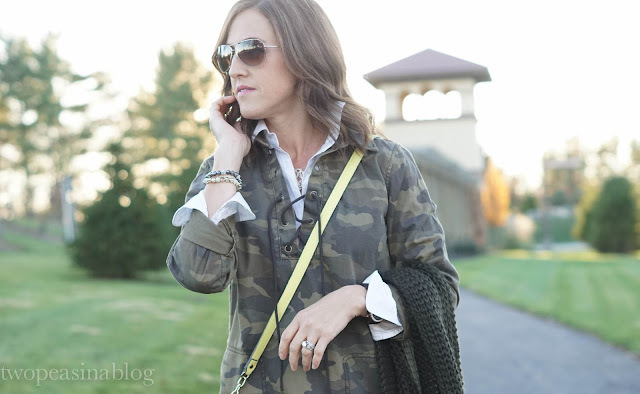 Adding jewelry, heels, or a pop of color are fun easy ways to jazz up the camo. For size reference, I'm wearing a small. By the way - how fun is this scarf!? It has built in pockets!! Love the styling of this dress. The white button down is perfect peeking through the lace up detailing! Thanks so much! I love a crisp bright white button down. It's so versatile. What a cute dress! And I love the yellow bag you added. Thanks! I thought the bright pop of color would be fun!! 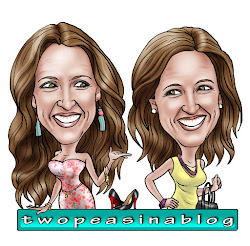 Visit twopeasinablog's profile on Pinterest. Dolman sweaters + What is LIKEtoKNOW.it?